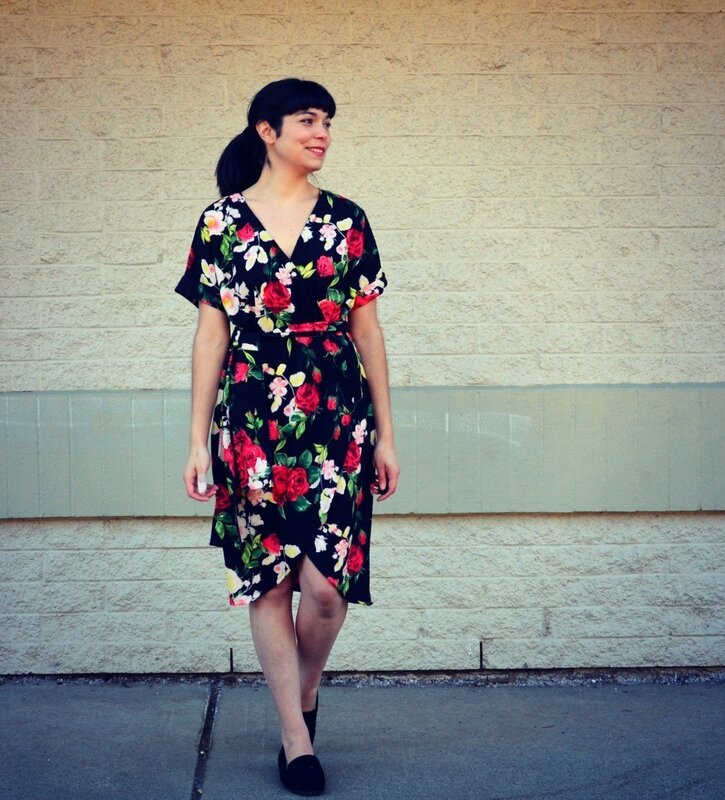 Welcome Daniela of On the Cutting Floor and designer at DG Patterns. Daniela’s colorblocked dress was one of my favorite dresses from last year’s Day and Night Dress Challenge, so I have been looking forward to seeing what she would make for this year! 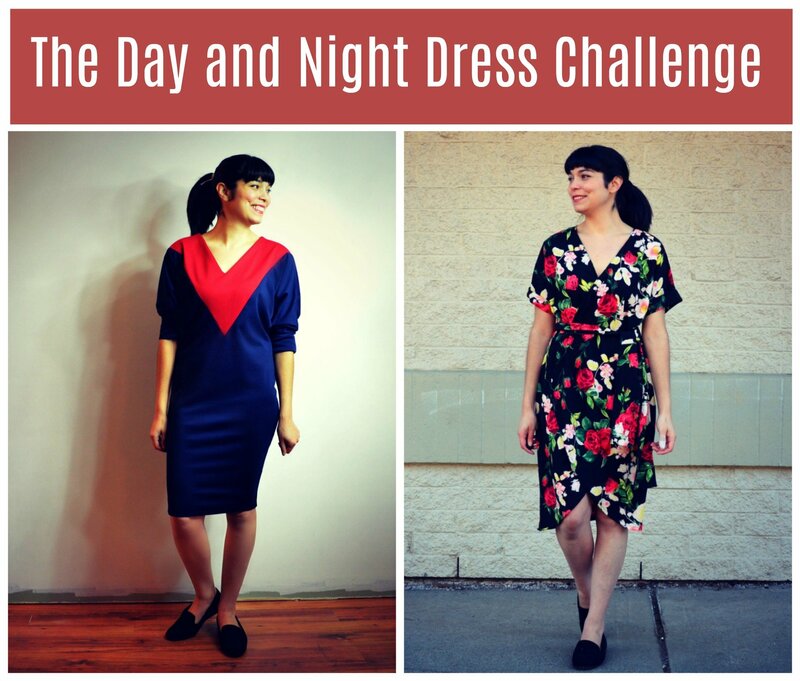 I am thrilled to present my participation on The Day and Night Dress Challenge 2018! Elizabeth, from Elizabeth Made This has invited me this year to participate in this challenge and I am glad I did! It is super fun and I love to see all the work involved in everybody’s dresses. For the coffee dress, I chose to use the Susan Dress pattern. 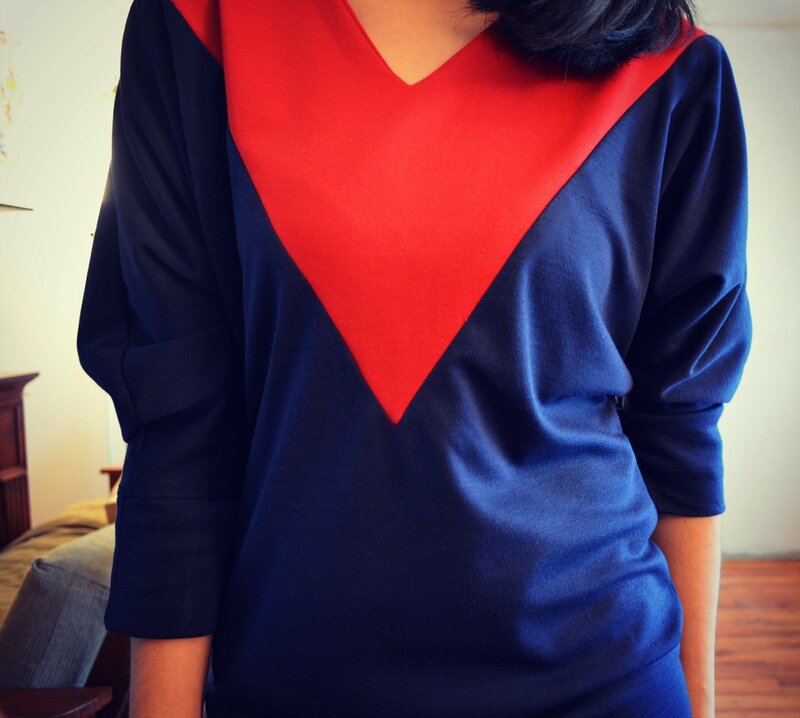 I love the sporty style of this knit dress and how the clashing red and blue colors add an 80’s vibe to it. I thought this dress will be ideal for the coffee dress challenge because it is comfy, easy to wear and with a casual look. For this version of the cocktail dress I chose to wear the Reno Dress pattern, just launch last weekend. 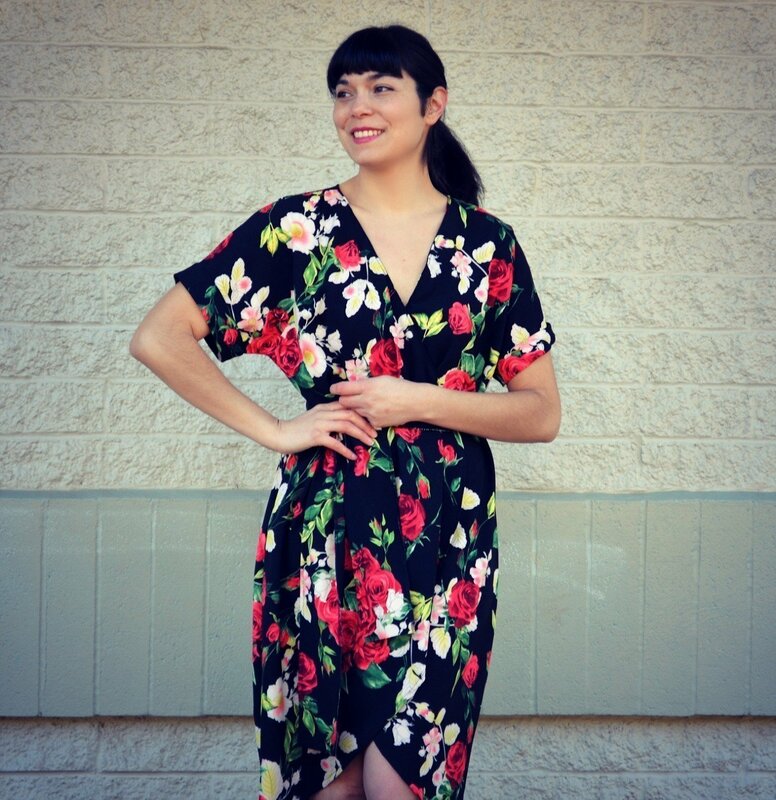 This dress features an easy wrap style with a tulip hemline to add a unique touch to this classic design. I love the strong contrast on your coffee dress and that V is sewed so beautifully! The cocktail dress is very romantic! I love the shape of your coffee dress and the cocktail dress is darling. 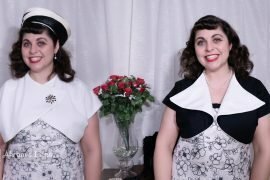 Both dresses are really cute!, However, I think I’m gonna need to lget that coffee dress pattern, I’m in love! Wow, these are so beautiful! I love both dresses- esp, the blue one is so lovely. I really love the fabric combo. Looks great! Daniella, I love both dresses that you’ve designed. The Susan is on my list for sure.